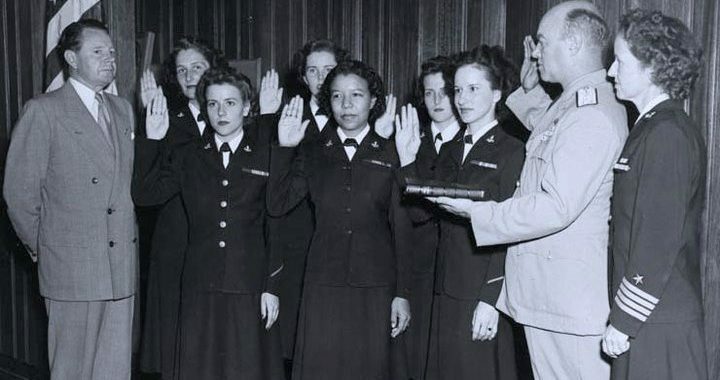 Pioneering Women in the Navy - Go Navy Go! Photo from the Naval History & Heritage Command Photograph Collection, NH 106756. Women have been an important part of the Navy for a long time. They began their service in the Navy as nurses during the American Civil War. Today, there are over 52,391 women serving on active duty. Anna Der-Vartanian, a yeoman, who became the first female Master Chief. She was also the first female E-9 in the armed services. Cmdr. Elizabeth Barrett was the highest-ranking woman naval line officer to serve in the Vietnam War and the first woman to hold command in a combat zone. Lt. Elizabeth G. Wylie became the first women to serve in the Vietnam War on the staff of Commander, Naval Forces, Saigon. Each of these women (and many others) represents an ever-expanding role of women in the navy.